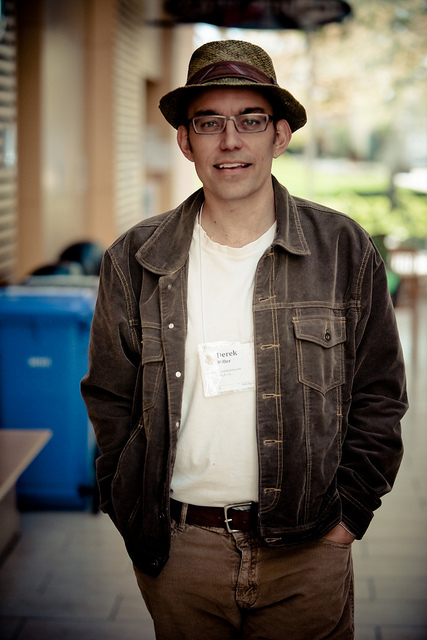 Read Derek K. Miller’s final Penmachine blog post here. Derek K. Miller was an incredible man. He blogged his way through stage 4 metastic colorectal cancer. He coined the term “digital executor” in 2008. He was a father, husband, musician, podcaster, photographer, writer and inquisitive soul. He blogged for more than 10 years, leaving behind a gift for us all. His children, Lauren (11) and Marina (13), will have an archive of their father’s insights and feelings about the world as a treasured part of their family history. I had the great fortune of having a long conversation with Derek about digital legacy, digital identity and technology on May 28, 2010. Despite our intentions at the time, it would be our one and only discussion. He wrote a blog post about our “gabfest” then, which included his thoughts on preparing a digital legacy. I recorded our talk, with his permission, as an alternative to note-taking. When I wrote my post at the time, I promised to write more about the discussion we had. As sometimes happens in life, I didn’t get back to that plan. As a tribute to Derek and his contribution to the topic of digital legacy and digital executorship, I’ve decided to post the entire unedited conversation here – late beginning, sketchy audio in places, and free-flowing. It’s clear from listening to it again how thoughtful and passionate Derek K. Miller was about technology and the effects that it has on our lives. I’m feeling a loss today, but am grateful that he did so much to preserve his digital self for all of us to discover and learn from. Tomorrow is Digital Death Day in Mountain View, CA. In our interview, we discussed last year’s event and I hope that Derek’s contributions to our burgeoning field are remembered there tomorrow. My condolences to his wife Airdrie, Marina, Lauren and the rest of his family and loved ones. Thanks to Dave Delaney who, while mourning the loss of his friend, volunteered to help me get this audio online. Are you interested in the conversation around digital death? Do you want to learn more about family access to accounts after a death, legal issues like terms of service and digital property rights, or archival and curation of data? What about the individual’s right to delete data and declare themselves digitally dead? Now’s your chance to get involved. Digital Death Day North America will see 75 – 125 attorneys, entrepreneurs, researchers, archivists and leading minds gather to discuss the issues shaping this emerging space. Add your voice to the group and share your ideas on how the future could be, and your perspective on what’s important. Digital Death Day is a collaborative unconference where attendees will work together to explore how we should deal with our online profiles after death. This is the 3rd Digital Death Day and the 2nd such event in North America. The event immediately follows the 12th Internet Identity Workshop planned for May 3-5 at the same location. 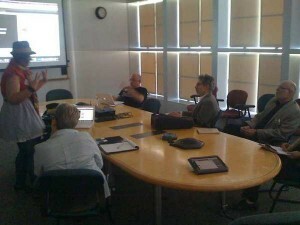 The unconference format allows for an agile event, where everyone is welcome to contribute. Beginning at 9:00 AM we start with a blank wall and though an hour-long, interactive process, create a full day, multi-track conference agenda that is relevant and inspiring to everyone in attendance. Digital Death Day will be facilitated by Kaliya Hamlin who has designed and facilitated over 100 unconferences for professional and technical communities. How can I decide what should be done with my social network profiles and other digital assets? How can I inform my online friends of my death and share with them my final messages? How can I be sure that big companies (like Google, Facebook, Yahoo and Microsoft) will respect my wishes? Does the past have value? Should we make an effort to preserve it? Is it too old school to die and be dead? How will the wealth of preserved information change the way that future generations look back at us? How are you preparing for your own death? What are the policies for e-mail accounts and social websites when you die? What about digital assets that are jointly held? What happens to the references to other people in the deceased person’s digital assets? What happens to the digital assets with references to the deceased person? If you are an entrepreneur, Internet service professional, attorney, estate planner, researcher, technologist, archivist, policy maker, funeral director, a member of the media, or planning your digital will, your perspective and participation is needed an valuable. From all signs, it appeared that today’s Digital Death Day was a great success. The first (un)conference dedicated to death and technology drew 30 participants, including sponsors Legacy Locker, Entrustet and Data Inherit – all services catering to people who want a secure way to pass on the their digital assets after they’ve died. Session notes will be available in the next few days. In the meantime, you can check out the highlights of the day from the Twitter back channel. Last month at the SXSW Interactive festival, I learned of the Digital Death Day unconference happening on May 20 at the Computer History Museum in Mountain View, California. This is the first unconference dedicated to discussing the ideas of death online, whether that entails wanting to claim your own information and delete it, or, what happens to your digital identity online when you physically die. Death is a part of life but what does death of the physical self mean for the digital self? This is a conference focused on this question and others around “digital death”. What does it mean for loved ones of the departed? What does it mean for professionals in end of life care and post mortem services? What does it mean for online tool and service providers? What does it mean for estate and legacy planners? What do people do to prepare for their own deaths in relationship to their online life? What do friends and relatives do with the digital assets of a loved one when they die? What if aspects of their online life were secret or just not understood? What does it mean for governments and public records? What businesses are serving this market? The Digital Death Day unconferenced has been added on to the end of the 10th Internet Identity Workshop, running from May 17 to 19 and founded by Kaliya Hamlin (@IdentityWoman). Kaliya is a pioneer in the identity community, co-producing the IIW with Phil Windley and Doc Searls. She is also fellow if the Information Card Foundation, one of the few members of the Open Web Foundation and a member of the OpenID Foundation. It’s great to see Kaliya take a leading role in bringing this discussion, not only to the identity community, but to silicon valley where so many of the decisions about online policy, services and products are made. Registration for Digital Death Day is open now. Follow @DigitalDeathDay on Twitter. Discussing the need to appoint a 'Digital Executor' Great presentation by @adelemcalear.